June 27, 2014. Ahmedabad, Gujarat, India. 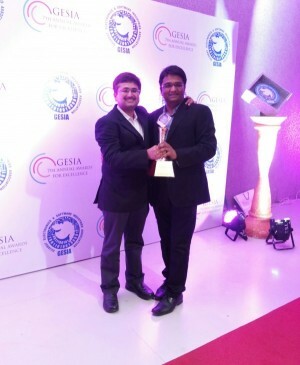 Aruhat wins ‘The Best Software Product Company” Award for TeleOSS at GESIA’s 7th Annual Awards for Excellence , 2014. Aruhat has been recognized for the competency demonstrated for TeleOSS, suite of products for MVAS delivery and highly satisfied clientèle across the globe. Aruhat’s facilitates the reliable service delivery and technology agnostic platform to result in improved delivery throughput, lower TCO and improved customer experience. TeleOSS Messaging Suite is a communication business solution with a converged delivery platform for all messaging channels viz. SMS, USSD, MMS, IVR, eMail, eFax. It is a ready to integrate platform with SMPP, SS7, SIGTRAN, SDP, HTTP protocols and a central control management interface for all business & technology needs. Offers Messaging Solutions for SMS Gateway, Router, Hub, Trivia, M2M, Mcommerce & Business solution platform. Aruhat Technologies is a India based software company, incorporated in the year 2004 in Ahmedabad, with a vision of offering technology for continuous business improvements and innovations backed by core competence’. 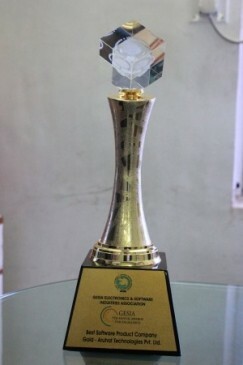 It provides web data extraction and MVAS products, solutions & services that optimize data and communication technology. Aruhat is moving towards product based solutions around its emerging technologies with its new innovative approach of “Technology Enabling Business” to serve and extend its business reach to the global marketplace with its products DataCrops & TeleOSS.